Unfortunately, the somewhat psychotic vampire who turned me into a bloodsucker didn't bother to ask first. Now I'm dealing with parents who want me to vamp them, a younger brother who's convinced I'm a zombie, and a seriously ripped vampire hunter who either wants to stake me or make out with me. Not sure which. Oh and PS, none of my favorite fanfic prepared me to deal with vampire politics--which are looking pretty tricky based on the undead Elder trying to hunt me down. 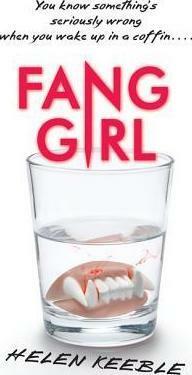 What's a vampire-obsessed fangirl turned real-life fanggirl supposed to do?